Bag manufacturer, Think Tank Photo, has launched a new outdoor photography backpack company called MindShift Gear. Whereas Think Tank Photo’s focus is to serve professional photographers with products that are best for urban settings, MindShift Gear has been created to serve photographers who are passionate about experiencing the natural world and the great outdoors. 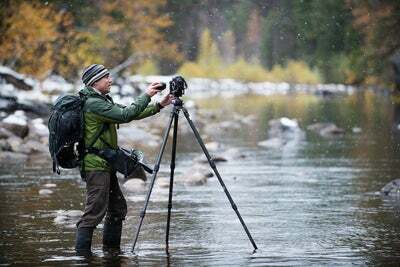 The first product to be released by MindShift Gear is the Rotation180 professional backpack – a bag that features an unusual camera waist pack, which can be rotated out of the lower section to the front of the body for instant access to lenses, filters, or other accessories. The backpack, which is designed primarily for landscape photographers, features a side hydration pocket that can store up to 3 litre bladders. As well as this, it has a rain cover to keep kit protected from the elements and a spacious upper compartment that can be used to hold non-photo related equipment. More information about the bag can be found at Kick Starter.